It's time again to think about and reflect on our learning. What kind of a student am I? What are some of the new and interesting things I have found out about? How can this new information or skill be helpful? What did I enjoy most and why? The first round of reflection for portfolios and student-led conferences are completed. 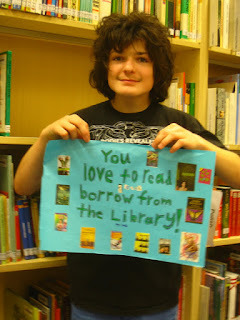 I'd love to share with you what students have learned and said about their library and information studies. With our smallest students we have been reading lift-the-flap stories during Library classes. Students have been enthusiastic helping the teacher open the flaps and discovering little surprises hidden underneath. They showed creativity and cooperation while completing their very own lift-the-flap book of "Dear Zoo". Students explored the student profile quality of caring while discussing in depth how to take care of a book. 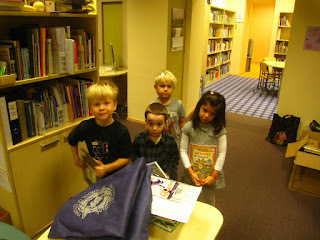 Now, the Reception class students are eager readers, and love to choose and take books home for free reading. Students have been learning about library. We have been looking at different areas and activities in the library, and talked about the role of a librarian. They were enthusiastic and curious during class discussions, and showed commitment while writing about their favorite library activity. In library class we learned that people read stories for entertainment and knowledge. Students greatly enjoyed the humorous stories shared during library class. They were enthusiastic and creative during class discussions, and while creating humorous pictures as story extensions. In the library Grade 34 students learned nonfiction book elements and bibliography. We know that a content book or a book of information has many parts. Each part of a book can help you to get different information. We also talked about what is a bibliography and why do we need to write one for our research paper. This unit was taught in collaboration with Grade 34 UOI What’s up Down There and language arts unit on nonfiction text elements. During Library classes we have been learning how libraries offer easy-to-use resources when researching a topic for a school report, discussing advantages of doing research at the library, and evaluating the importance of various library resources. 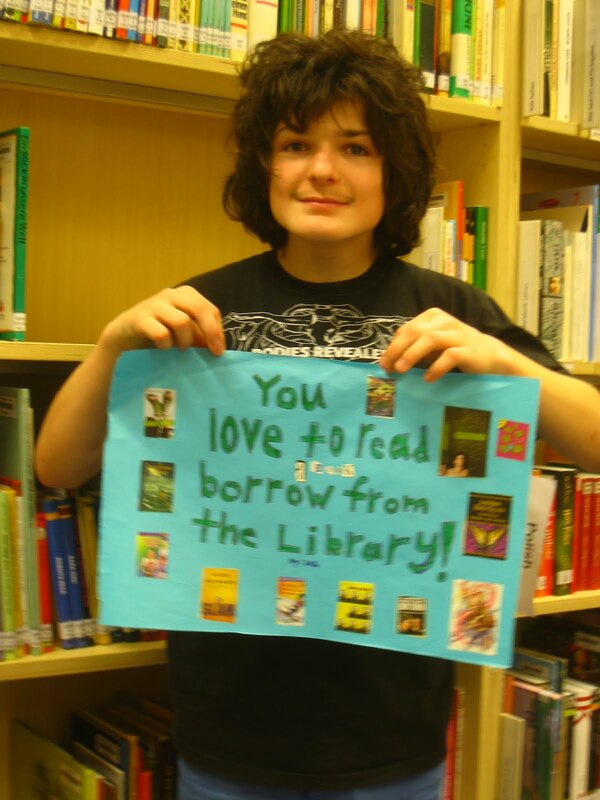 Students created posters with catchy phrases reminding other students to consider the library when doing research. Posters were displayed throughout the school.